Lancaster County-Wide Communications (LCWC) provides public education to groups interested in learning about how the county receives and dispatches 911 calls in order for those in need to receive help from public safety responders. Our public education staff will travel to your event and can provide displays, presentations, printed material, and a 911 call simulator. 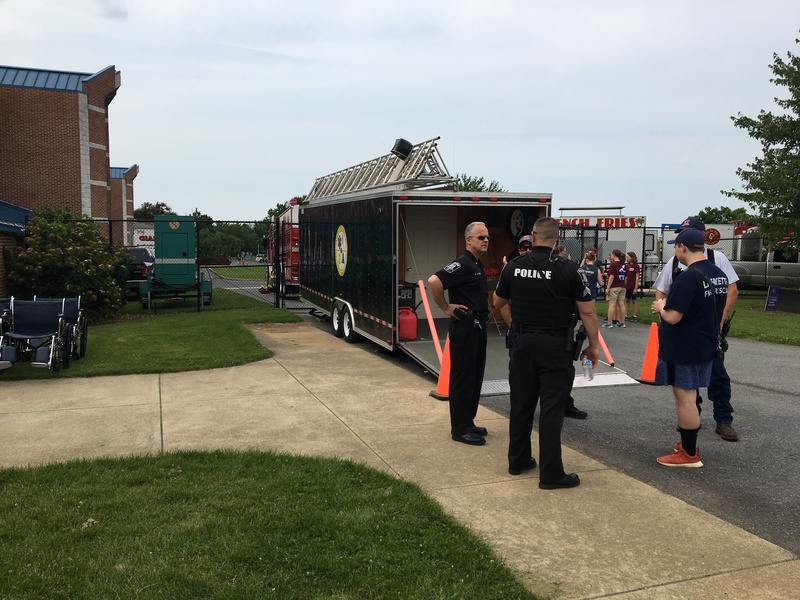 Tours of LCWC's Public Safety Answering Point (PSAP) dispatch facility, as well as LCWC’s mobile assets, can be arranged for groups including, but not limited to, schools, youth organizations, civic groups, and public safety agencies. Authorized individuals may submit an observer form in order to achieve an in-depth experience of PSAP operations. Candidates must be a minimum of 18 years of age on the date they submit the observer form. Candidates must allow a minimum of five (5) working days in order to process the observer form and, subsequently, to schedule observer time. For more information, or to schedule your tour or event, please contact our administrative staff at 717-664-1100, Monday through Friday between the hours of 8:30 am to 5:00 pm. Learn more about what happens when you call 911. LCWC has a number of Mobile Resources to provide on-scene communications and to support radio and power needs to remote or resource intensive incidents.